We are always excited about meeting new patients during their first visit to our office. Your initial appointment will consist of a thorough examination and discussion of potential treatment options. We’ll also take some X-rays and photos that are necessary for developing the appropriate treatment plan. 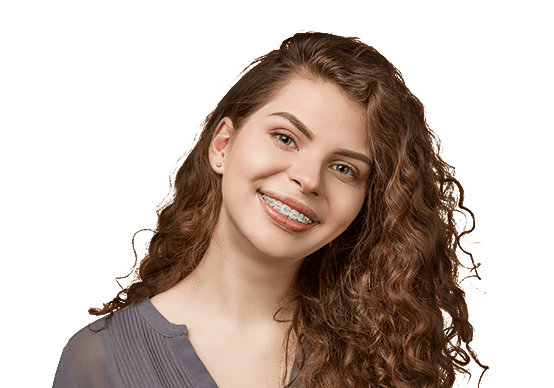 This important one hour visit will give us insight into your orthodontic needs. We know that your time is valuable, so to expedite treatment, we may also reserve time following the exam to make more diagnostic records and place spacers. The records may include an additional X-ray and making impressions for study models. During your initial examination, we will address the following questions that cover the basics of orthodontic treatment. We encourage you to ask questions as well! Which treatments will be used to correct the problem? We will address specific areas after careful analysis of your diagnostic records. We feel it is important to analyze each patient's specific needs because in-depth planning leads to superior results and higher patient satisfaction. We will then discuss treatment options, time frames, and financial arrangements. We insist that our patients always leave our office with a clear understanding of their specific needs, what their treatment will consist of, how long it will take, and how payment will be handled. Please contact our office at 817-645-2432, to schedule your New Patient Exam. We will ask you for basic information that will allow us to schedule your appointment and set you up in our Patient Portal. The Portal contains the medical and dental History forms that we will need to be filled out prior to your appointment. We will also need your orthodontic insurance information in order to verify your benefits. This will allow us to go over all your financial information at your New Patient Exam in a comprehensive way. No one, and we mean NO ONE, likes to come to our office and spend 20 minutes filling out our forms, so we put on our thinking caps and came up with a way to make things a bit easier for everyone. Now, you can simply download our forms by clicking on the link below and fill them out in the comfort of your own home before your appointment. This way, you won’t have to worry about juggling our forms, your insurance info, and your children when you come to see us! Just be sure to bring them with you when you come to see us so we can get you in to see Dr. Hart right away! Give us a call if you have any issues downloading our forms. If you have dental insurance, our team will happily accept it. Even better, we’ll also handle the entire claims process from beginning to end to make sure you’re getting the absolute most out of your benefits. Basically, we’ll deal with the forms, and you can just sit back and save! We’ll make paying for your orthodontic care easier than ever. To learn how we can use your particular plan to help you save, please contact us today. Do you currently NOT have insurance? No problem, we have just the thing for you! With OrthoFi & CareCredit, you can easily break up the cost of your treatment into much smaller monthly payments. Many plans have low-to-no interest, and with an OrthoFi or CareCredit plan, you’ll never have to deal with any upfront costs, annual fees, or prepayment penalties. Just click on the link below to find the perfect plan for you! You can access your payment plan and treatment summary details by logging onto OrthoFi’s 24-hour, self-service online patient portal. Enter your patient username and password (same as the account you created to complete the online forms).